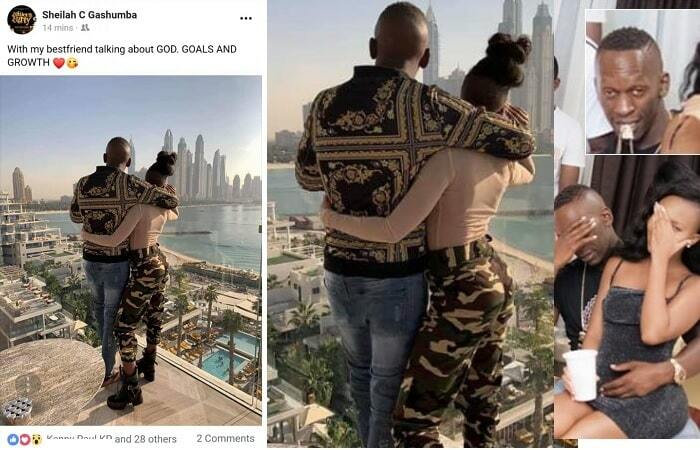 EXPOSER: Sheilah Gashumba's World-renowned Robber Boyfriend Unmasked! TV presenter Sheilah Gashumba is one of the deadliest man eaters in Kampala. At the age of 22, she has been linked to a line of city live wires that could possibly make up a football team with substitutes. Few months ago, she started dating Ali Lwanga alias God's Plan, an ex convict and robber who was deported from the United Kingdom. The 32 year old camera shy socialite has been spending like a Dubai billionaire on holiday, driving luxury cars worth billions, living in a presidential suite at Skyz Hotel where they have been spending over Ugx 700,000 a night for the last 3 months although they are currently in Dubai for a holiday. On top of spending a fortune on girlfriend Sheilah Gashumba, he stopped her from executing her day to day duties at Serena based NTV where she recently quit. The luxurious lifestyle funded by an unexplainable source of money pushed our snoops to investigate Ali Lwanga's past. Our snoop discovered that he was deported from United Kingdom after being nabbed with cash amounting to £100,000 robbed from Securicor vans. According to a number of media houses in United Kingdom, Ali Lwanga ( God’s Plan) was sent to jail in 2008 before being deported in 2017. Ali Lwanga had been robbing for close to 3 years before he was nabbed. It is believed he had accumulated millions of pounds that he is currently spending in Uganda. On 19th July 2008, BBC through their website reported that Ali Lwanga, a cash in transit robber had been nabbed with the help of Smart dye. "The 21-year-old's speciality was cash in transit robberies. He and his gang targeted security guards delivering money to banks and a retail park in East London. Officers found dye-stained clothing in a wheelie bin near his home. Money was also found under his mattress when his bedroom was searched. Under examination the dye showed the cash was part of a £25,000 haul stolen in a cash-in-transit robbery outside a Barclays bank in January and a similar incident at Opal Money Transfer in the previous December. Ali Lwanga was convicted due to forensic evidence from SmartWater Traces found on his clothes and a glove also linked him to another two robberies totalling more than £100,000. 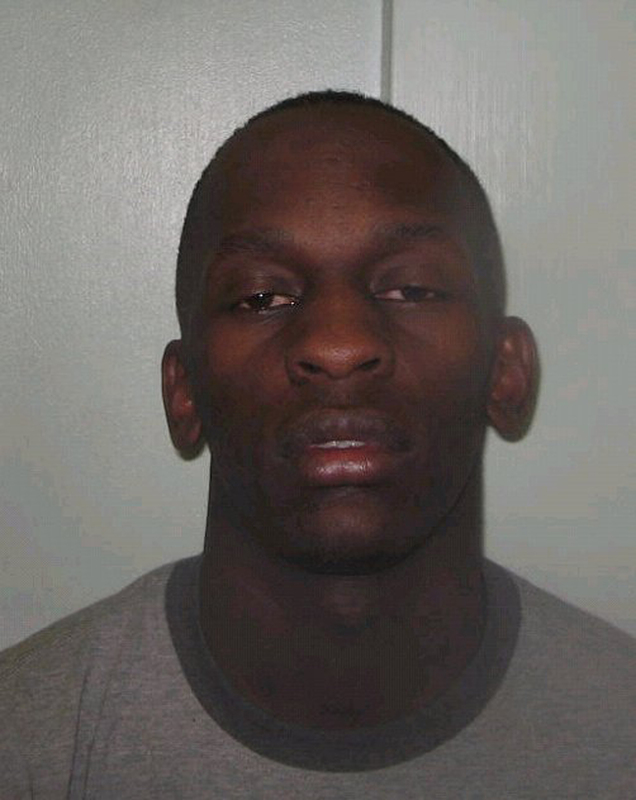 He was convicted of conspiracy to rob at Wood Green Crown Court. On July 18th in an article by Laura Clout published by The Telegraph, one of the leading media houses in UK reported that Ali Lwanga was recruiting schoolboy robbers to steal from security vans. "A modern day Fagin recruited a gang of schoolboys as young as 13 to steal more than £100,000 from security vans," the writer stated. The Telegraph also reported in that same story that Ali Lwanga had attempted to launder money using gaming machines at Ladbrokes betting shops. "Lwanga had been under surveillance since November last year, when he began attempting to launder money using gaming machines at Ladbrokes betting shops. After his arrest on February 12, searches at a house where he was staying revealed cash under his mattress. The money was stained with SmartWater which revealed it had been stolen during two other cash-in-transit robberies. According to Enfield based website, Enfield Independent in an article dated 1st September 2008, they reported that Ali Lwanga, a robber was jailed for eight years for stealing thousands of pounds worth of cash in a string of robberies. They reported, "Ali Lwanga, aged 21, of Baron Walk, Newham, was found guilty of conspiracy to rob at Wood Green Crown Court in July. And on Monday, Lwanga, who was caught using state-of-the-art technology, was jailed for eight years," Enfield Indepedent reported. On 29th August 2008, The Standard reported that Ali Lwanga 21 enlisted schoolboys to help with violent van robberies. "A Fagin-style criminal who enlisted schoolboys to help with violent van robberies will be jailed today. Ali Lwanga, 21, made more than £100,000 while paying his teenage accomplices a pittance for robbing Securicor vans," part of an article they published read. On 1st September 2008, Carl Brown published a story on The Guardian Series pinning Ali Lwanga for robbing securicor vans amounts totalling to £100,000. "A MODERN-day 'Fagin' who used schoolboys to help rob cash-transit vehicles has been jailed for eight years. Ali Lwanga, 21, made more than £100,000 robbing Securicor vans - including one at Opal Money Transfer, in Leytonstone Road , which net him £25,000. But his gang, some members as young as 14 and dressed in their school uniforms, were paid a pittance for assisting him," part of the article read. Also, our investigators discovered that Ali Lwanga was the real reason Sheilah Gashumba was thumped by her father Frank Gashumba months ago. He did not want her daughter to associate with a certified robber.